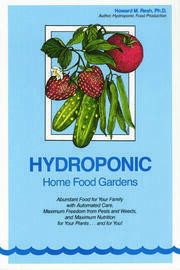 Hydroponics offers many advantages to traditional soil-based horticulture. These include greater control over many of the limiting factors, such as light, temperature, and pests, as well as the ability to grow plants in all seasons. 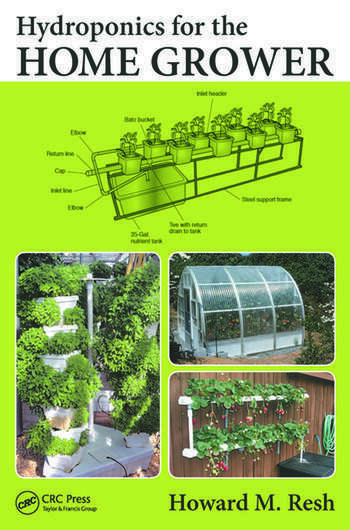 With instruction from one of the top recognized authorities worldwide, Hydroponics for the Home Grower gives you step-by-step guidance on how to grow tomatoes, peppers, cucumbers, eggplant, lettuce, arugula, bok choy, and various herbs year-round within your home or in a backyard greenhouse. 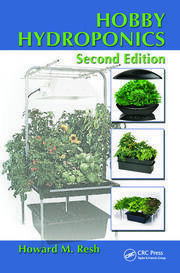 The book includes an appendix with sources of seeds and other supplies, along with helpful websites and lists of books, articles, and conferences on growing hydroponically and caring for your crops. By following the guidelines in this book, you’ll understand everything you need to know to get your home-growing operation up and running in no time. Howard M. Resh has a doctorate degree in horticulture and is a recognized authority worldwide on hydroponics. 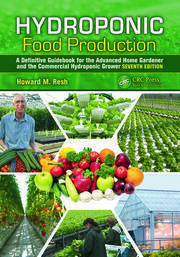 He has written five books on hydroponic culture for both commercial and hobby growers and his website (www.howardresh.com) presents information on hydroponic cultures of various vegetable crops. Dr. Resh is the hydroponic greenhouse farm manager for the first hydroponic farm associated with a high-end resort—CuisinArt Golf Resort and Spa in Anguilla, British West Indies. He is a consultant for many unique hydroponic greenhouse operations, including Lufa Farms in Montreal, Canada. "By following the guidelines in Hydroponics for the Home Grower, you'll understand everything you need to know to get your home-growing operation up and running in no time."